Today the site work company began clearing a 60ft x 100ft area for the studio. 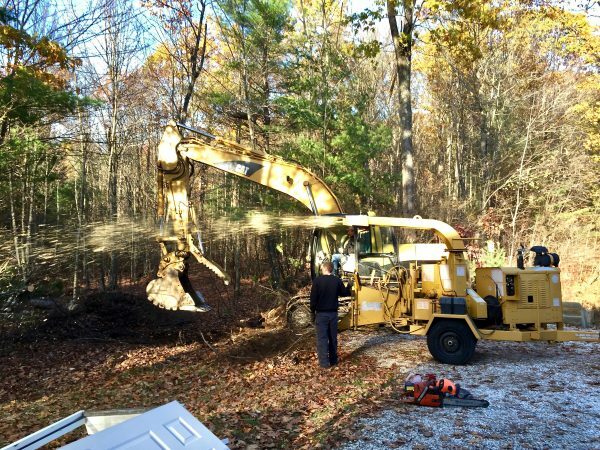 The crew of three turned 0.13 acres of dense woods into a pile of chips in just a few hours. My son wanted to watch, but it was so incredibly loud that we had to sit in the car together and watch out the window.